Number four in the series of vegetables drawn by Susan from inside her greenhouse during the wet summer of 2012. 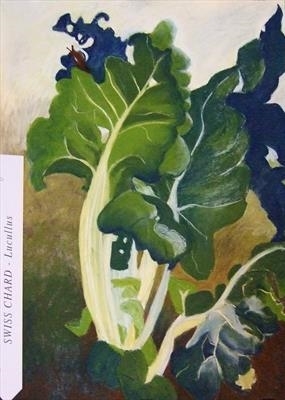 White paper provides the background for this intriguing image of the Swiss Chard plant. Other greens of the garden are visible in the picture which would be a good addition to a dining room or kitchen.